It appears the United States Men’s National Team will be back in Foxboro not long after Friday’s CONCACAF Gold Cup match against Haiti. And they’ll be pitted against a popular opponent in their return. According to a report from the Boston Globe, the U.S. will face Brazil in an international friendly at Gillette Stadium on Sept. 8. 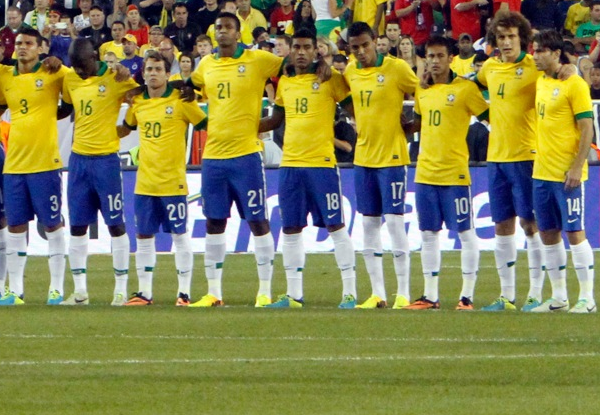 Brazil has played at Gillette three times during the last eight years, with their most recent appearance coming in a Sept. 2013 friendly against Portugal, a match that attracted a crowd of 62,310. In Sept. 2007, they faced Mexico in a match that attracted close to 68,000 fans before returning for an encore against Venezuela in Jun. 2008, which drew over 54,000 fans. The last time the U.S met Brazil in New England came in a Jun. 6, 1993 U.S. Open tournament match at the Yale Bowl in New Haven, Ct. – a match that attracted 44,579 fans. The 1993 U.S. Open was a round-robin tournament that served as a warm-up for the Americans in their preparation for the 1994 World Cup.